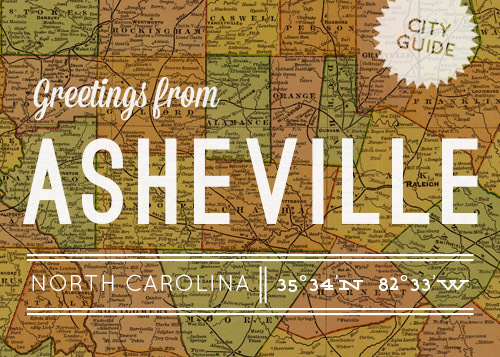 DesignSponge Asheville City Guide: This week, the Design*Sponge features Asheville in their city guide series. Design*Sponge is a nationally recognized creative blog founded in 2004 by Brooklyn-based writer Grace Bonney. The blog features daily posts and profiles on graphic designers, interior designers, chefs and artisans. It currently has 200,000 daily readers, with an addition of 200,000 who subscribe by RSS. It started with an e-mail from Atlas Branding co-founder Lisa Peteet to local resident Ashley English, a national author and blogger of Small Measure and former contributor to the Design*Sponge. 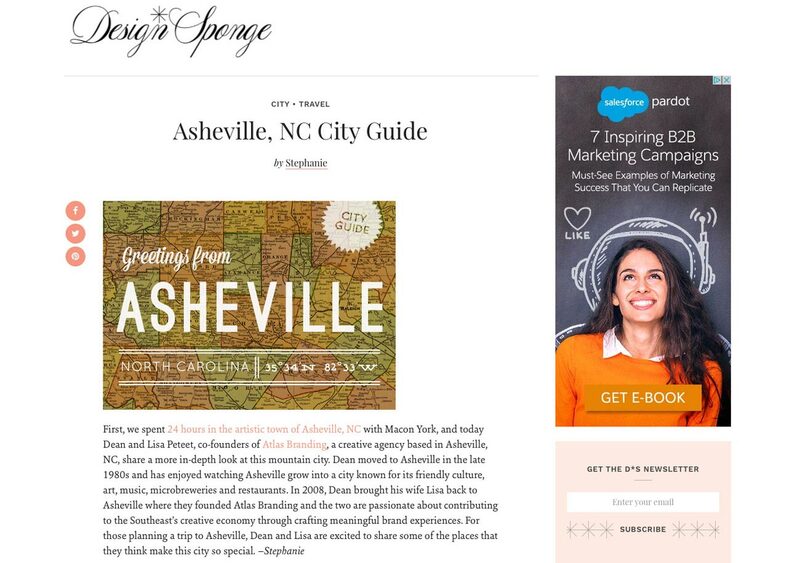 We inquired as to why the Design*Sponge had never published a city guide for Asheville. “We thought it would be a beneficial resource for city visitors and area businesses so we volunteered to work on assembling one ourselves,” said Lisa Peteet. “We thought it would be a beneficial resource for city visitors and area businesses so we volunteered to work on assembling one ourselves,” said Lisa Peteet. The list consists of unique galleries, furniture stores, gift boutiques, clothing shops, restaurants and breweries that help to define and distinguish Asheville as one of the most creative places in the Southeast. “Compiling the guide was no easy task, and eliminating options from the list was the hardest part of the process, especially since we so desperately wanted to include even more than what was on the final edited version,” said Dean Peteet.